Iron deﬁciency (ID) cause negative outcomes on psychomotor and behavioral development of infants and young children. Children with autistic spectrum disorders (ASD) are under risk for ID and this condition may increase the severity of psychomotor and behavioral problems, some of which already inherently exist in these children. In the present study, the frequency of ID and the association between ID and autistic symptoms, developmental level, and behavioral problems in preschool children attending a clinic for ASD (N = 31) were evaluated. No association was observed between ID and the severity of autistic symptoms, developmental level and behavioral problems. ID was detected in 32.3% (N = 10) of the children based on serum ferritin level. In this study, the negative impact of low serum ferritin in ASD has not been conﬁrmed. On the other hand, the rate of ID was considerably high in this sample of children with ASD compared to normative data of preschool children. Further studies with larger samples are needed to clarify the relationship between ID and clinical variables associated with ASD. ß 2009 Elsevier Ltd. All rights reserved. a Percentage of children with serum concentration of ferritin < 10 mg/L, hemoglobin < 110 mg/L, MCV: mean corpuscular volume, and TIBC: total iron binding capacity. CARS: Childhood Autism Rating Scale; AuBC: Autism Behavior Checklist; AbBC: Aberrant Behavior Checklist; ADSI: Ankara Developmental Screening Inventory. studies suggested that ID caused behavioral problems resulting in fewer interactions and impaired learning in these children (Grant et al., 2007; Grantham-Mcgregor & Ani, 2001; Lozoff, 2007). Besides, an association between IDA and some speciﬁc behavioral problems such as breathe holding spells and restless legs syndrome was documented (Connor et al., 2003; Daoud, Batieha, Al-Sheyyab, Abuekteish, & Hijazi, 1997). However, there is no clear consistency across studies that examined the association between ID/IDA and behavioral problems, and there are some studies reporting no such association (Johnson & McGowan, 1983). On the other hand, the association between ID and behavioral problems were not investigated in children with ASD except an open label study that examined the effect of iron supplementation on sleep problems (Dosman et al., 2007). In our study, we found no association between serum ferritin levels and behavioral problems. This ﬁnding may be resulted from a real lack of association between ID and behavioral problems determined by AbBC or it may stem from the small sample size. ID was detected in 32.3% and IDA in 6.5% of the children in our study. There is no population-based study regarding the frequency of ID and IDA in preschool children in Turkey. The prevalence of ID and IDA in school children was reported as 5.5% and 5% respectively, in a study conducted in S¸anlıurfa, that one of the big cities of Turkey (Koc¸, Baz, Kesen, & Erel, 2006). Although it is asserted that the prevalence of ID may reach as much as 40%–50% in developing countries (Grant et al., 2007; Wu, Lesperance, & Bernsteın, 2002), this study suggested that the prevalence of ID in Turkey is similar to developed countries. Considering the prevalence of ID in preschool children in the USA as 5% (Centers for Disease Control & Prevention, 2002), we can say that children with ASD are under great risk for ID, as 32.3% of our sample have ID in the present study in compatible with ﬁndings of previous studies regarding this issue (Dosman et al., 2006; Latif et al., 2002). Major limitations of the present study are small sample size and the lack of a control group. Small sample size may account for the lack of association between ID and some of the clinical variables. Lack of a comparison group prevents the ability to reach a more deﬁnitive result related to frequency of ID/IDA in children with ASD. Another limitation may be the inclusion of children with ASD as a single group without splitting them up into subtypes. However, the inclusion of the children within a narrow age range, restricted to preschool period, is the strength of this study; as this is a time period in which ID is seen more frequent and early detection and treatment may be more proﬁtable for children. In conclusion, no association was observed between ID and the severity of autistic symptoms, developmental level and behavioral problems in this study. This study showed a high rate of ID in this sample of children with ASD compared to normative data of preschool children. Future studies with large samples and control groups will increase our knowledge related to ID and its potential consequences in children with ASD. References Abbott, R. (1998). The effects of iron supplementation on cognitive function in infants and children. Bibliotheca Nutritio et Dieta, 54, 67–75. Akman, M., Cebeci, D., Okur, V., Angin, H., Abali, O., & Akman, A. C. (2004). The effects of iron deﬁciency on infants developmental test performance. Acta Paediatrica, 93, 1391–1396. Aman, M. G., Singh, N. N., Stewart, A. W., & Field, C. J. (1985). Psychometric characteristics of the Aberrant Behavior Checklist. American Journal of Mental Deﬁciency, 89, 492–502. American Psychiatric Association. (1994). Diagnosis and statistical manual of mental disorders (4th ed. (DSM-IV)). Washington, DC: APA. Centers for Disease Control and Prevention, US Department of Health and Human Services. (2002). Iron Deﬁciency—United States, 1999–2000. Morbidity and Mortality Weekly Report, 51, 897–899. Connor, J. R., Boyer, P. J., Menzies, S. L., Dellinger, B., Allen, R. P., Ondo, W. G., et al. (2003). Neuropathological examination suggests impaired brain iron acquisition in restless legs syndrome. Neurology, 61, 304–309. Connor, J. R., & Menzies, S. L. (1996). Relationship of iron to oligodendrocytes and myelination. Glia, 17, 83–93. Cornish, E. (1998). A balanced approach towards healthy eating in autism. Journal of Human Nutrition Dietetics, 11, 501–509. Daoud, A. S., Batieha, A., Al-Sheyyab, M., Abuekteish, F., & Hijazi, S. (1997). Effectiveness of iron therapy on breath-holding spells. The Journal of Pediatrics, 130, 547– 550. Deinard, A. S., List, A., Linddren, B., Hunt, J. V., & Chang, P. N. (1986). Cognitive deﬁcits in iron-deﬁcient and iron-deﬁcient anemic children. The Journal of Pediatrics, 108, 681–689. Dosman, C. F., Brian, J. A., Drmic, I. E., Senthilselvan, A., Harford, M. M., Smith, R. W., et al. (2007). Children with autism: Effect of iron supplementation on sleep and ferritin. Pediatric Neurology, 36, 152–158. Dosman, C. F., Drmic, I. E., Brian, J. A., Senthilselvan, A., Harford, M. M., Smith, R. W., et al. (2006). Ferritin as an indicator of suspected iron deﬁciency in children with autism spectrum disorder: Prevalence of low serum ferritin concentration. Developmental Medicine & Child Neurology, 48, 1008–1009. Grant, C. C., Wall, C. R., Brewster, D., Nicholson, R., Whitehall, J., Super, L., et al. (2007). Policy statement on iron deﬁciency in pre-school-aged children. Journal of Paediatrics and Child Health, 43, 513–521. Grantham-Mcgregor, S., & Ani, C. (2001). A review of studies on the effect of iron deﬁciency on cognitive development in children. The Journal of Nutrition, 131(2S2), 649–666. Hill, J. M., & Switzer, R. C., 3rd. (1984). The regional distribution and cellular localization of iron in the rat brain. Neuroscience, 11, 595–603. Hurtado, E. K., Claussen, A. H., & Scott, K. G. (1999). Early childhood anemia and mild or moderate mental retardation. The American Journal of Clinical Nutrition, 69, 115–119. Idjradinata, P., & Pollitt, E. (1993). Reversal of developmental delays in iron-deﬁcient anaemic infants treated with iron. The Lancet, 341, 1–4. Johnson, D. L., & McGowan, T. J. (1983). Anemia and infant behavior. Nutrition and Behavior, 1, 185–192. Karabekiroglu, K., & Aman, M. G. (2009). Validity of the aberrant behavior checklist in a clinical sample of toddlers. Child Psychiatry and Human Development, 40, 99–110. Koc¸, A., Baz, T., Kesen, M., & Erel, O. (2006). The frequency of iron deﬁciency in three elementary schools of Sanliurfa city center and the reliability of the tests used to diagnose iron deﬁciency. Turkiye Klinikleri Journal of Pediatrics, 15, 85–91 [in Turkish]. Krug, D. A., Arick, J. R., & Almond, P. J. (1980). Behavior checklist for identifying severely handicapped individuals with high levels of autistic behavior. Journal of Child Psychology and Psychiatry, and Allied Disciplines, 21, 221–229. Latif, A., Heinz, P., & Cook, R. (2002). Iron deﬁciency in autism and Asperger syndrome. Autism, 6, 103–114. Lozoff, B. (2007). Iron deﬁciency and child development. Food and Nutrition Bulletin, 28(Suppl. ), 560–571. Lozoff, B., Brittenham, G. M., Wolf, A. W., McClish, D. K., Kuhnert, P. M., Jimenez, E., et al. (1987). Iron deﬁciency anemia and iron therapy effects on infant’s developmental test performance. Pediatrics, 79, 981–995. Lozoff, B., Jimenez, E., Hagen, J., Mollen, E., & Wolf, A. W. (2000). Poorer behavioral and developmental outcome more than 10 years after treatment for iron deﬁciency in infancy. Pediatrics, 105, E51. Lozoff, B., Wolf, A. W., & Jimenez, E. (1996). Iron-deﬁciency anemia and infant development: Effects of extended oral iron therapy. The Journal of Pediatrics, 129, 382–389. McCann, J. C., & Ames, B. N. (2007). An overview of evidence for a causal relation between iron deﬁciency during development and deﬁcits in cognitive or behavioral function. The American Journal of Clinical Nutrition, 85, 931–945. Otero, G. A., Aguirre, D. M., Porcayo, R., & Fernandez, T. (1999). Psychological and electroencephalographic study in school children with iron deﬁciency. The International Journal of Neuroscience, 99, 113–121. Roncagliolo, M., Garrido, M., Walter, T., Peirano, P., & Lozoff, B. (1998). Evidence of altered central nervous system development in infants with iron deﬁciency anemia at 6 mo: Delayed maturation of auditory brainstem responses. The American Journal of Clinical Nutrition, 68, 683–690. Savasir, I., Sezgin, N., & Erol, N. (1994). Ankara Gelis¸im Tarama El Kitabı (1st ed.). Ankara: Tu¨rk Psikologlar Derneg˘i. (in Turkish). Schopler, E., Reichler, R. J., Devellis, R. F., & Daly, K. (1980). Toward objective classiﬁcation of childhood autism: Childhood Autism Rating Scale (CARS). 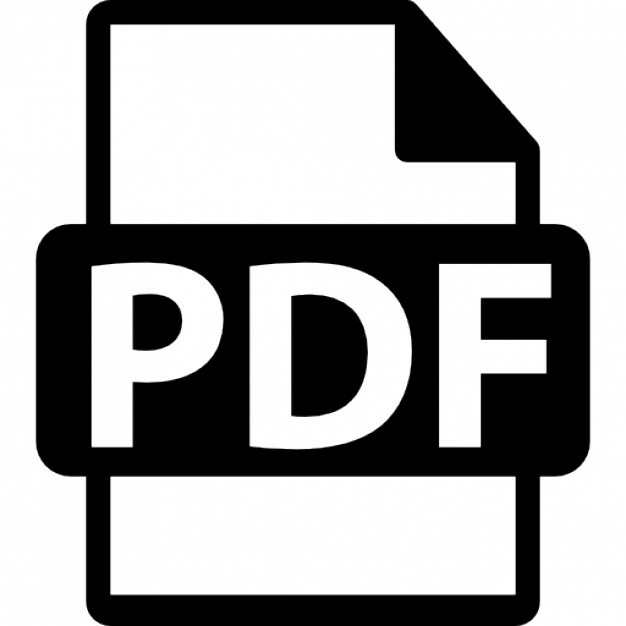 Journal of Autism and Developmental Disorders, 10, 91–103. Sucuoglu, B. (2003). The psychometric characteristics of the Turkish form of the Aberrant Behavior Checklist. Turkish Journal of Psychology, 18, 93–96. Sucuoglu, B., Oktem, F., Akkok, F., & Gokler, B. (1996). Otistik c¸ocukların deg˘erlendirilmesinde kullanılan o¨lc¸eklere ilis¸kin bir c¸alıs¸ma. Psikiyatri Psikoloji Psikofarmakoloji Dergisi, 4, 116–121 (in Turkish). Thane, C. W., Bates, C. J., & Prentice, A. (2003). Risk factors for low iron intake and poor iron status in a national sample of British young people aged 4–18 years. Public Health Nutrition, 6, 485–496. Wakeﬁeld, A. J., Murch, S., Anthony, A., Linnell, J., Casson, D. M., Malik, M., et al. (1998). Ileal-lymphoid-nodular hyperplasia, non-spesiﬁc colitis and pervasive developmental disorder in children. The Lancet, 351, 637–641. Worwood, M. (1997). Inﬂuence of disease on iron status. The Proceedings of the Nutrition Society, 56, 409–419. Wu, A. C., Lesperance, L., & Bernsteın, H. (2002). Screening for iron deﬁciency. Pediatrics in Review, 23, 171–177. Yilmaz-Irmak, T., Tekinsav-Sutcu, W. S., Aydin, A., & Sorias, O. (2007). An investigation of validity and reliability of Autism Behavior Checklist (ABC). Turkish Journal of Child and Adolescent Mental Health, 14, 13–23 (in Turkish). Youdim, M. B., & Yehuda, S. (2000). The neurochemical basis of cognitive deﬁcits induced by brain iron deﬁciency: Involvement of dopamine-opiate system. Cellular and Molecular Biology, 46, 491–500. Report "Iron deficiency in preschool children with autistic spectrum disorders"